I still can't quite get over how fast Christmas has come around this year. December is such a busy period for most people with having to rush around buying presents and organising events here, there, and everywhere. It's definitely not a quiet season. But, it's all worth it in the end! Let's admit it, the majority of us spend ridiculous amounts of hours thinking about our 'look' for Christmas Day and or New Year (and the other festive days), do we not? Well, let's just say, I know for sure it's not just me being slightly too excited. We all like to look good for the Christmas period, and whether that be buying a new outfit or trying out some new makeup, we all have our own way of sparkling. I know some people don't bother much at Christmas with dressing up, but I am definitely one of those people who likes to go all out! I put the most effort into Christmas Day; more effort than any other day of the year. I'm not one to sit around in my PJs all day, not on Christmas day anyway. My Christmas morning consists of lounging around in my dressing gown. We wake up and run downstairs, just like we did when we were young - I love reminding myself of my childhood. We have a Christmas morning croissant and then sit around the tree and open our presents for a couple of hours. I love Christmas morning, it's definitely the quiet before the busy afternoon. This year, for my makeup, I have planned a subtle base with a red punchy lip. I have several products lined up, ready to use. 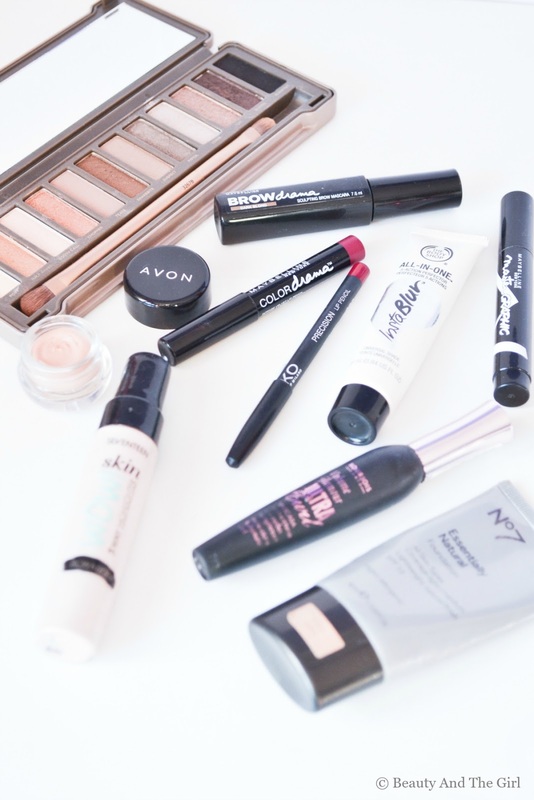 Many of these products are 2015 favourites of mine. For the base I have lined up The Body Shop's Instablur Primer and the No7 Essentially Natural Foundation. The No7 foundation is a very natural (hence the name) foundation. It has brown undertones instead of more cream colour undertones. It's a really light foundation, definitely perfect for a light base at Christmas. I am also going to add a bit of the Seventeen Skin Wow Highlighter on my cheeks, just to add a bit of shimmer - might even add some glitter to that! After all, it is Christmas! 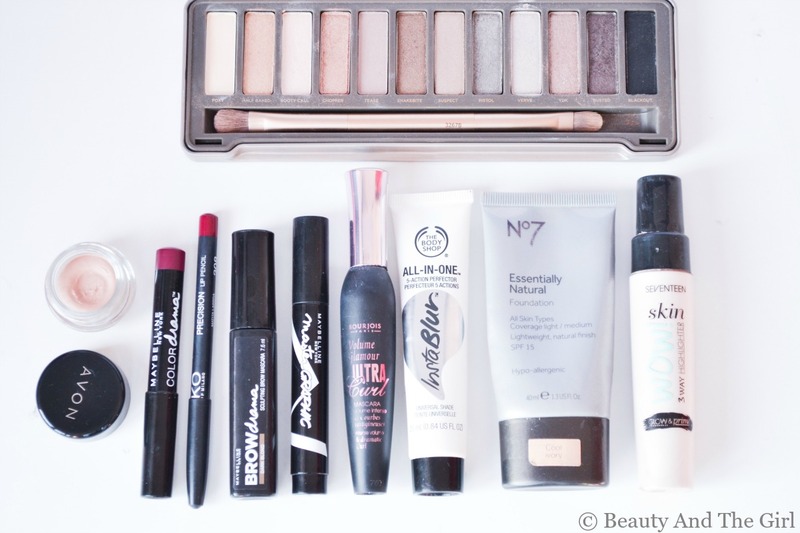 Eyeshadow is definitetly my favourite makeup product to apply. I absolutely love the different looks you can make and blending different shades. I find applying eyeshadow really calming. This year, I am going to be using the Naked 2 palette to create a subtle gold lid and brown cut crease eye. The mascara I am going to be using is the Bourjois Volume Glamour Extra Curl, it's one I picked up recently and I love it! It gives me the perfect volume. To ensure that my eyeshadow stays in place all day I am going to be using a newly-bought product from AVON. Their eyeshadow primer is amazing! It makes my eyeshadow stay all day long. On top of the subtle eyeshadow I am going to add winged eyeliner. 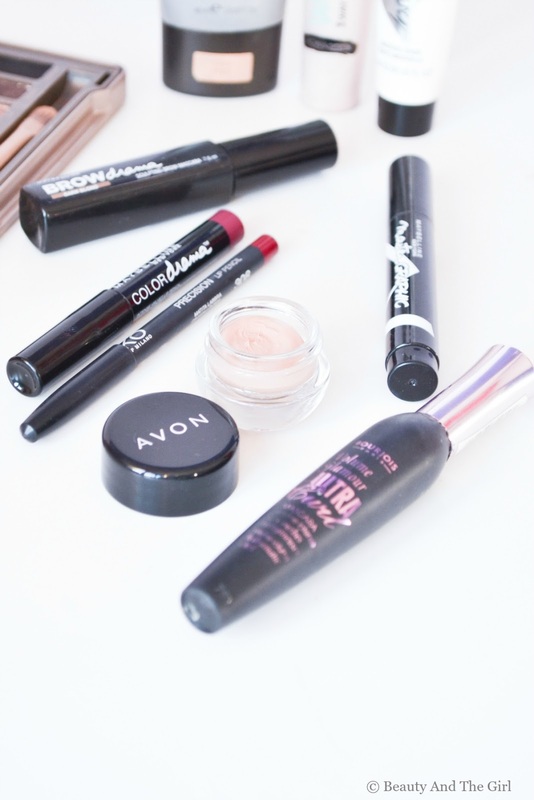 The Maybelline Master Graphic Eyeliner Pen is my new favourite! 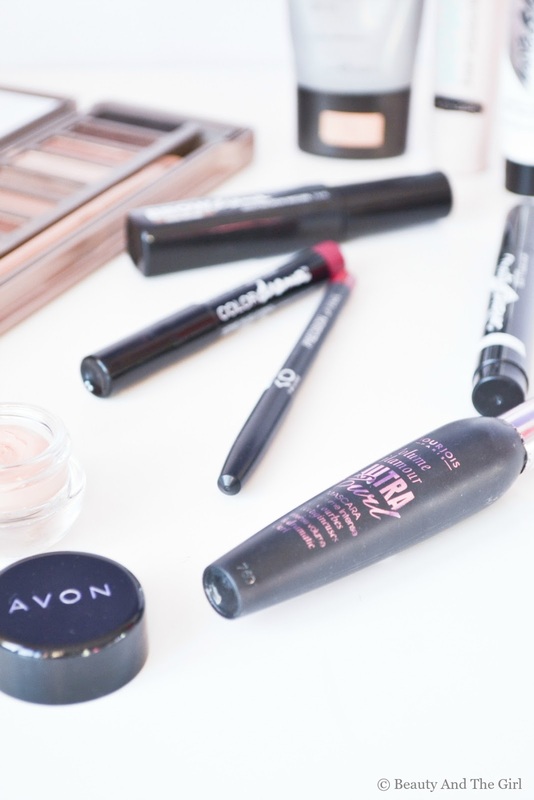 My eyebrows will be getting a bit of TLC too! This month I bought the Maybelline Brow Drama and I absolutely love it. It is such a convenient product and perfect for the job. It's a natural and subtle product too, no extremely artificial looking eyebrows. Finally, for the last part of my look I will be using the Maybelline Colour Drama in Berry Much and KIKO's lip liner in shade 308. I am an absolute sucker for a red lip during the festive period. Anyway, eeeek, it's Christmas eve! Best wishes to you all, have a lovely Christmas and New Year! Many more exciting posts to come in 2016! What is your Christmas look for this year? 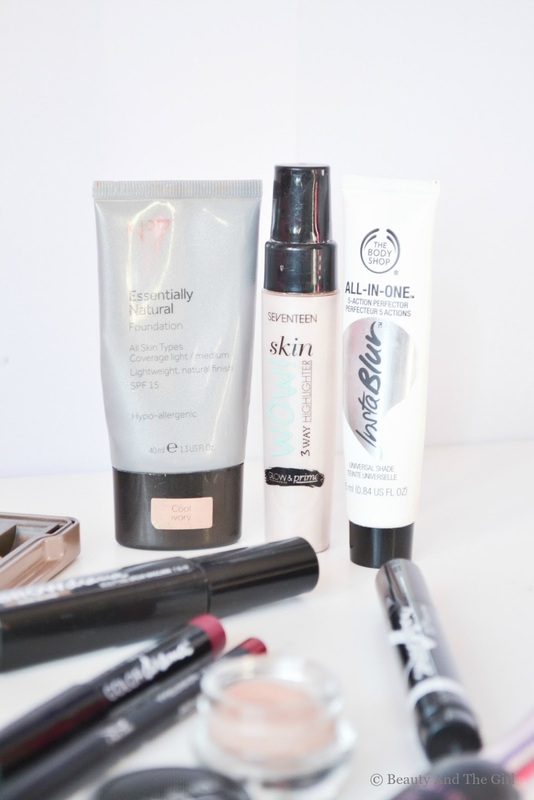 Ohhh I really want to try the instablur primer, it looks fab! I have a Kiko lipliner and it's such great value for the quality! 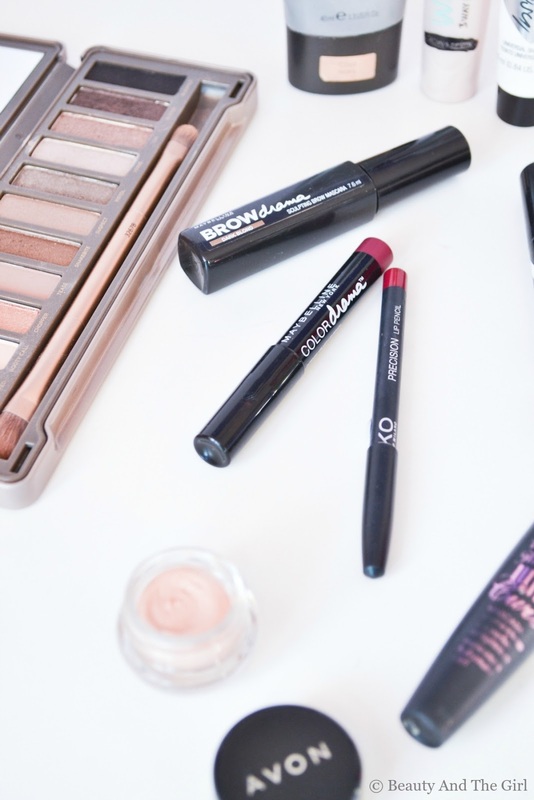 Love the look of those Maybelline lip pencils too, hope you had a lovely day.